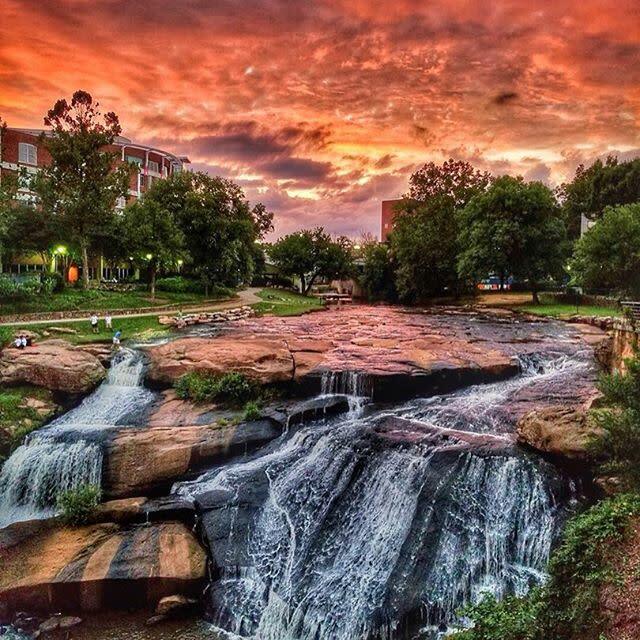 These gorgeous cascades grace the heart of Greenville—the best views of this virtual oasis rambling down a tumble of boulders and platter-like rocks strewn across the Reedy River come mid-span on the Liberty Bridge in Falls Park on the Reedy. Tucked away in Sumter National Forest near the Chattooga River, the twin pillars of this 50-foot beauty are accessed by way of a moderate, hour-long hike, with the added reward of a deep plunge pool where you can jump in and get splash-happy. 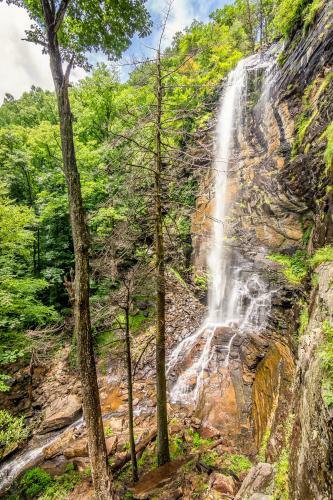 Easily accessed off Highway 11 (en route to Caesars Head State Park), this shimmering 30-footer fans out over a wide, stair-stepped outcropping of stone offering views of the larger 100-foot-tall upper falls above. The price of admission for this showstopper includes a hefty 2.5-mile trek and a thigh-burning 1,200-foot climb. But take heart: the sight of this 100-foot gusher tumbling down a granite grotto is enough to restore both the body and the mind. Piercing the Mountain Bridge Wilderness Area in northern Greenville County, the 100-foot-plus Falls Creek Falls plummet in a down rush that propels a cooling veil of mist above a wall of black rock. For more information on Greenville County’s waterfalls, visit SouthCarolinaParks.com/Things-to-Do/Mountains-Waterfalls and DiscoverSouthCarolina.com.